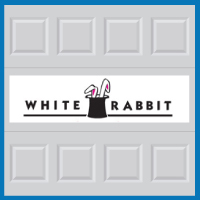 Back in 2010, Blue Sky Builders owner, Scott Wendell, discussed his favorite topic with White Rabbit Garage Organizers, a Chicagoland garage storage system provider: garages. WR: What’s changed about the garage building industry in the last 30 years? SW: 30 years ago, people just wanted the cheapest garage they could build, but now, people are using garages for so much more than storing cars. Their garages are an extension of their home; they want them to look good and have function beyond just car storage. WR: What is the hardest thing about being a garage builder? SW: The biggest challenge is keeping up with the coding requirements; each town has its own code, its own code inspector, and its own fee schedule. The building permit in one town may only cost $150 while the same permit will cost $1350 in another town. Each town has different height and footprint requirements, and it takes someone who really understands the regulations to make sure customers get what they want in their garage without violating any of their local codes. WR: What was the wildest garage project you ever had? SW: The wildest garage project we ever did was a garage that was never intended for cars. It cost more than a lot of people’s homes – bigger than many – and was designed strictly to be a hobby center. WR: What does every Blue Sky Builder customer need to know? SW: There are three questions we almost always hear: The husband wants to know how big the garage can be. The wife wants to know if we can build the garage without completely ruining their beautiful landscaping. And most of our customers want to know about special storage options, whether for an antique car or attic space for Christmas decorations. WR: What is the most commonly requested feature? SW: Most people ask about having windows in their garage door, and it’s also one of the more cost-effective ways to beautify the building. Occasionally, the owner will want taller walls for a car lift. We also have many antique car collectors who want special storage space for their babies. WR: What makes you the happiest about your business? SW: After 31 years, we still have the highest possible rating with the Better Business Bureau and on Angie’s List. That makes me feel good; we pride ourselves on doing everything we can to meet our customer’s needs. White Rabbit Garage Organizers initially focused solely on garage storage systems. The company has since extended their reputation for excellence into home office and basement organization systems as well. Their high-quality garage cabinets, storage shelves and racks will tame even the most unorganized of spaces, creating spaces that are both visually appealing and practical.